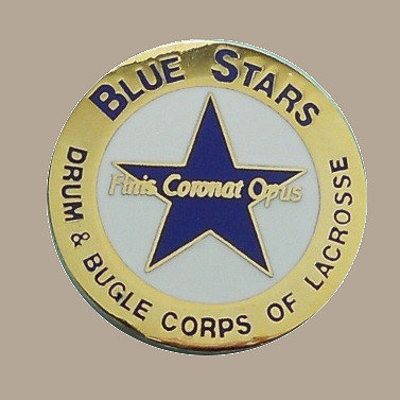 The Blue Stars Drum and Bugle Corps is a World Class competitive junior drum and bugle corps based in LaCrosse, Wisconsin. 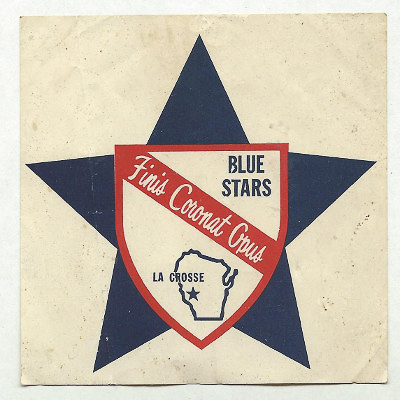 Founded in LaCrosse in 1964 by Frank Van Voorhis and David Dummer, the Blue Stars Color Guard merged with the Apple Arrows Drum and Bugle Corps of La Crescent, Minnesota in 1965 and became the Blue Stars Drum and Bugle Corps. The new corps began entering field competitions in 1966 and found a sponsor in the local First Federal Savings and Loan, which sold stock certificates in the corps as a fundraiser. The group was then billed as the First Federal Blue Stars. Dr. David Kampschroer started instructing the corps in that 1966 season and became corps director in 1968, remaining in that position until 1988. The corps' early years were unusually successful. They appeared in the finals of every national contest they entered between 1966 and 1979. 1970, however, was the year the corps surprised everyone, as they defeated the Cavaliers and the Kilties, and finished in fifth place at VFW Nationals in Miami. The Blue Stars were urged by Cavaliers founder Don Warren and Troopers founder Jim Jones to join in starting a new organization run by the drum corps and free from the rigid, inflexible rules of the American Legion and VFW. 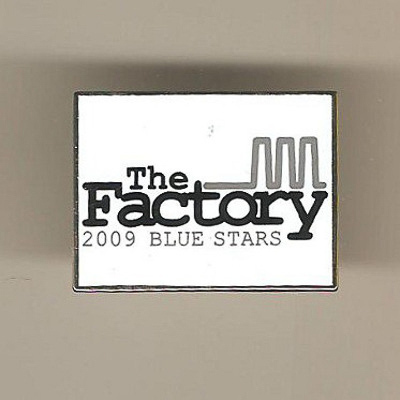 The corps felt that not only were they having their creative potential as artistic performing groups stifled, but they were being financially starved. During the 1971 season, the "Midwest Combine," composed of the Blue Stars, Cavaliers, Madison Scouts, Santa Clara Vanguard, and the Troopers were not only booked into a number of shows together, but they found a host for a show of their own, which was a spectacular success. A simiar group called the United Organization of Junior Corps (also known as the "Alliance") was made up of five top-tier Eastern corps. In 1972, the ten corps from the Combine and the Alliance joined with three other top corps to form Drum Corps International (DCI), which remains as the sanctioning body for junior corps in North America. Blue Stars director Dr. David Kampschroer also served as DCI's first executive director. 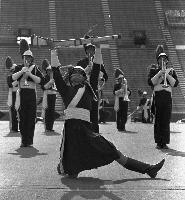 DCI's initial season of 1972 was the corps' finest year as a member of what was then called "open class." The Blue Stars had traded wins with Santa Clara Vanguard and were one of the favorites to win it all going into the inaugural DCI World Championships. In semifinals, the corps placed second behind Santa Clara. 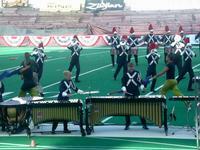 Although they beat SCV in Finals, the surging Anaheim Kingsmen passed them both to become the first DCI World Champion.. 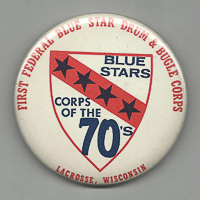 The corps remained a consistent powerhouse throughout the 1970s. They made DCI finals every year through 1979, and became the 1973 CYO National Champions and the 1977 VFW National Champions. The Blue Stars still hold the distinction of making the biggest drop in Top 12 standings in one year, from third in 1973 to 12th in 1974; and the biggest gain in standings in the Top 12, from 12th in 1974 to fifth in1975. 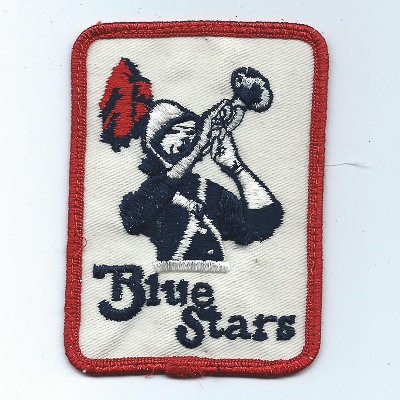 Then came the 1980s; membership recruitment fell off, and the Blue Stars finished 13th in 1980, 16th in '81, and dropped out of contention in 37th place in 1982. After the 1982 season, with no sponsor and being saddled with staggering debt, the corps ceased operations. However, some staff members and alumni of the corps refused to see it die. 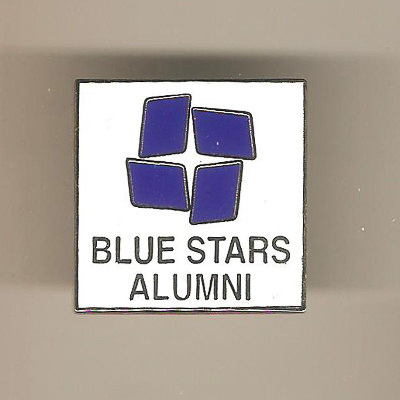 They organized as LBS Cadets, Inc. and entered a corps in 1983, competing in the Cadet Corps International circuit under the name Blue Star Cadets, because the Blue Stars name was still encumbered with debt. 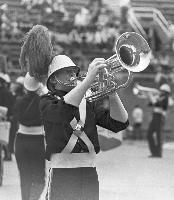 For 1984 and '85, the corps restricted its competition to Drum Corps Midwest shows and worked at paying off the old corps' debts. 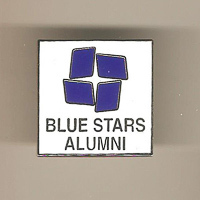 In 1986, the debt had been sufficiently paid down that the new group was able to reclaim the name and legacy of the Blue Stars. 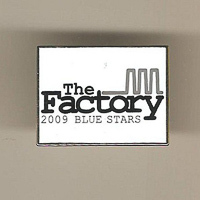 The rejuvenated Blue Stars became one of the most consistently successful small corps in DCI. 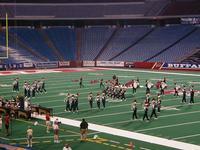 They won the DCI Class A60 World Championship in 1989 and the renamed Division III title in 1993, 2001, and 2003. As the corps approached its 4th DCI Championship in 2003, its fundraising bingo game suddenly was not only not making money, but it was losing so much that it had to be shut down, leaving the corps once more in dire financial straits. 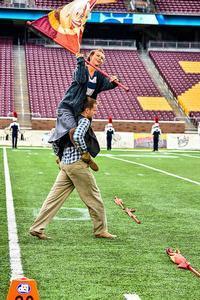 A plea to the drum corps community for assistance brought in enough money to save the corps. After two 14th place finishes, in 2008 the Blue Stars returned to DCI World Championship Finals for the first time since 1979. With the exception of a 13th place finish in 2012, the corps has been in DCI Finals every year since, through 2017.